Our certified technicians will perform a visual inspection before and after the chimney has been cleaned. 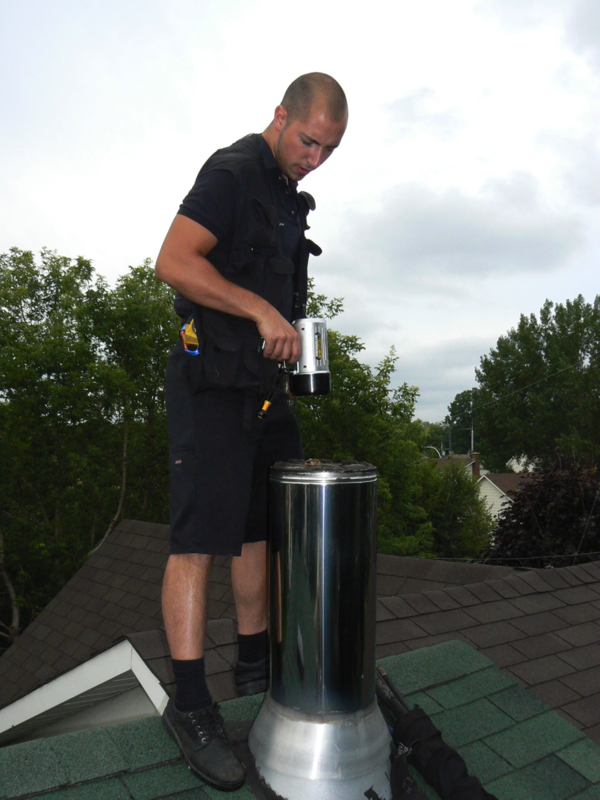 This process is to ensure that the condition of your chimney is safe and correct to be functional as peer to the code. The A.P.C. and C.S.A.C. both recommend that ALL masonry chimneys should be inspected at least once a year to ensure that they are safe, structurally sturdy and to have them cleaned if necessary. When the technician will have completed the sweeping and inspection, he will hand you an evaluation report of your system. If your system or chimney have not been changed and that you plan on using it as you did during the previous years, level 1 inspection is for you. This is recommended for systems that had regular maintenance and that didn’t had any major alterations. Our technicians will be able to inspect the inner and outer parts and the visible connections. They will also be able to ensure that the ducts are not blocked and that there is no combustible creosote deposit. The second level of inspection includes a verification of the sections accessible via attics, sub-floors and basements. If an anomaly is suspected, but cannot be confirmed due to lack of visual access, a level 3 inspection might be necessary to ensure the conception of the system is adequate. Demolition and /or openings might need to be performed for this type of inspection. If an anomaly is suspected, but cannot be confirmed due to lack of visual access, a level 3 inspection might be necessary to ensure the conception of the system is adequate. Demolition and /or openings might need performed for this type of inspection.